At some point of time in your life you must have thought what that small little mole on your right shoulder means? Or why do I have that black colored round mole on my feet? Ask these same questions today, and you will find loads of answers to your questions! Yes, I am talking about mole reading. Mole reading, also known as Moleosophy or moleoscopy, is one of the most ancient forms of divination or fortune telling. It is said that these small birth marks positioned on different parts of a human body can tell a lot about a person. Moles if interpreted correctly can let you know loads of unknown facets of a person's character, his personality and can even go as far as to give an accurate prediction about his near future. But how the process of interpreting one's personality and future from these black colored small birthmarks works is unknown to all of us; and there are even some downright skeptics who think of all these so-called 'science of interpretation' to be crap! Leave aside these skeptics; in today's fast-paced and busy world there are still some other groups of people who believe in the science of Moleosophy and have full faith that these things do work. Like palmistry, tarot and numerology, Moleosophy or the study of moles is also a branch of astrology. 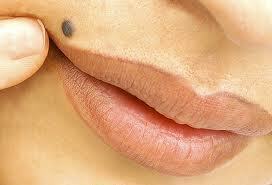 Moleosophy or the study of moles on the body was developed back during the civilization of the ancient Greeks. Much can be known from the positions of these marks on your body. In short, these are your fame and fortune indicators. You can know if you will succeed or fail in your ventures just from the size, location and color of your moles. Moles are classified on the basis of a number of factors like its color, shape, size and location. Based on all these factors, the characteristics of a person can be determined. Although this branch of astrology is not as popular as some of the mainstream divination tools like the tarot, palmistry, numerology and the like, but on a serious note, moles should never go unchecked. Online Mole Reading tools help you to understand the significance of your moles. These softwares have been designed based on the theory that moles, if interpreted correctly, can tell you a lot about a person’s character, his personality and can even go as far as to give a generalized prediction about his near future. Moleosophy Fortune Telling is a wonderful site.